In 1892, a group of farmers in the green mountains of southern Vermont maximized their surplus of milk and started the Grafton Cooperative Cheese Company. They hauled their extra milk to the co-op to be made into cheese, which could be stored longer than milk in the days before refrigeration. 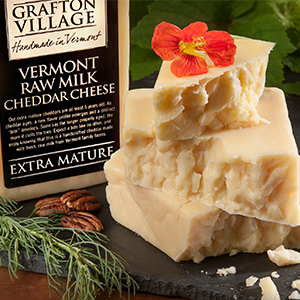 Today, Grafton Village Cheese still gets its fresh, raw milk from small family farms that dot the Vermont countryside. They make all of its small batch, award-winning aged cheddars and specialty cheeses by hand, true to the Grafton Village tradition. Grafton’s roots are firmly planted in Vermont. As a business of the nonprofit Windham Foundation, its mission is to promote Vermont’s rural communities. A “must-see” tourist destination, historic Grafton Village appears virtually untouched by the 20th century, featuring the Grafton Inn (one of the nation’s oldest operating inns), Grafton Forge blacksmith shop, a steepled white church, Grafton Ponds Outdoor Center, art galleries and artisan shops and of course, Grafton Village Cheese. Grafton was named among the 10 most beautiful towns in the US, by USA Weekend. 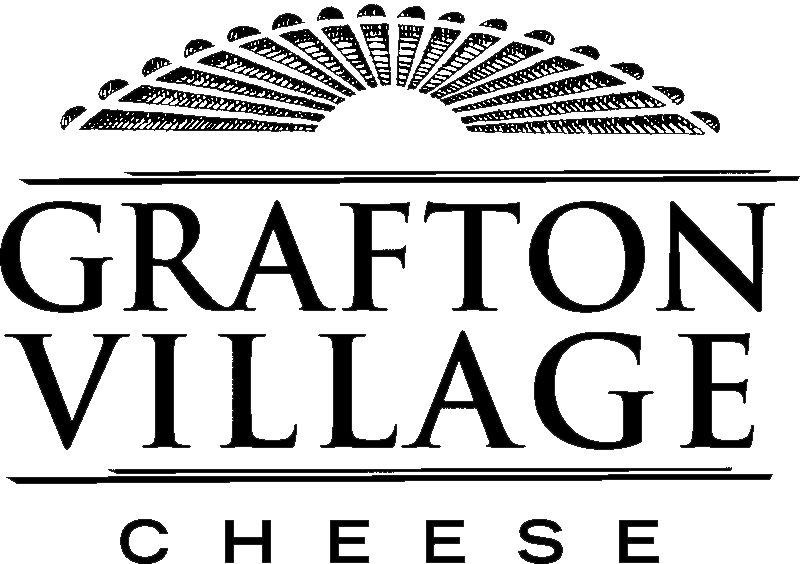 Grafton Village Cheese operates a specialty cheese and wine retail store in Brattleboro. The mission-minded store includes 80+ artisan cheeses, local craft beer and cider, specialty foods, gifts and wine. 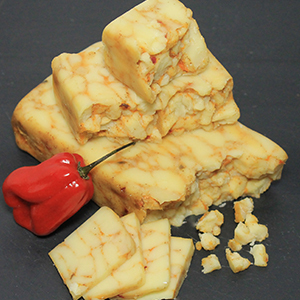 A visit to the store includes an opportunity to watch Grafton cheddar being made via the viewing area. Located at 400 Linden Street (Route 30), Brattleboro. Open daily, 10 am – 6 pm, and until 8 pm on Fridays. 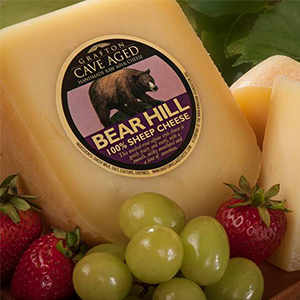 In Grafton, purchase Grafton Village Cheese at MKT Wine & Cheese, located on Main Street. Cheesemaking viewing is offered at Grafton’s production facility on 533 Townshend Road on select days. The folks at MKT Wine & Cheese or at the Grafton Inn front desk will have the most updated cheesemaking schedule. 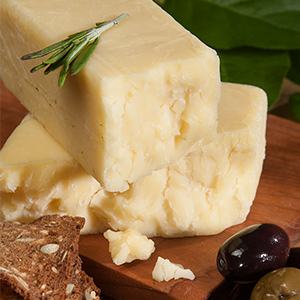 Grafton Village Cheese can be found in fine grocers and specialty food markets across the country. 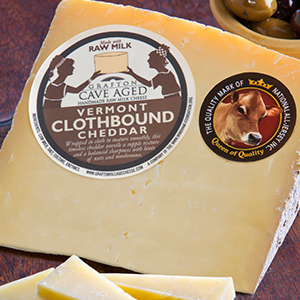 Reserve cave-aged, clothbound Cheddar, limited quantities. 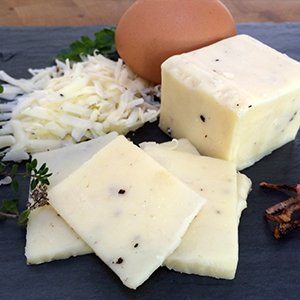 NEW: A delicate balance between the earthy flavors of truffle and the smooth, rich bite of our Vermont cheddar. This washed-rind alpine style cheese, made with 100% sheep milk, is gently fruity and nutty, with a smooth, milky mouthfeel and a hint of sweetness. Named for the bluff overlooking Grafton Village.